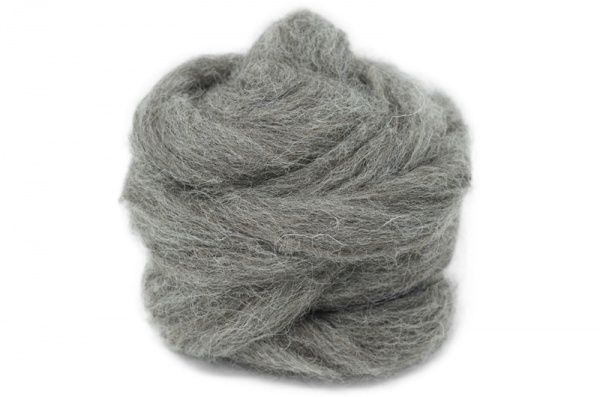 Massam is a mid-grey, semi lustre wool with a micron count of 30. As with our other combed British wools we specify only the best quality fleeces are used in the combing. Produced by crossing a long lustre wool Wensleydale with Dalesbred or Swaledale, the result is a long semi lustre wool which is known for it's hard-wearing properties for knitwear and also makes good strong felt.